The 10 time Champion trainer Paul Nicholls is on the brink of landing his 11th title this season but before that he has hit another milestone and on Monday gained his 3,000th winner in Britain. His five year old Dr Sanderson went off as the 9/4 second favourite in the first race of the day at Ludlow in a Class 4 Novices Hurdle and under a super ride from amateur jockey Bryan Carver landed the spoils and the trainers landmark victory. The gelding really took control of the contest at the fourth last hurdle not having any competitor go past him from that point on. 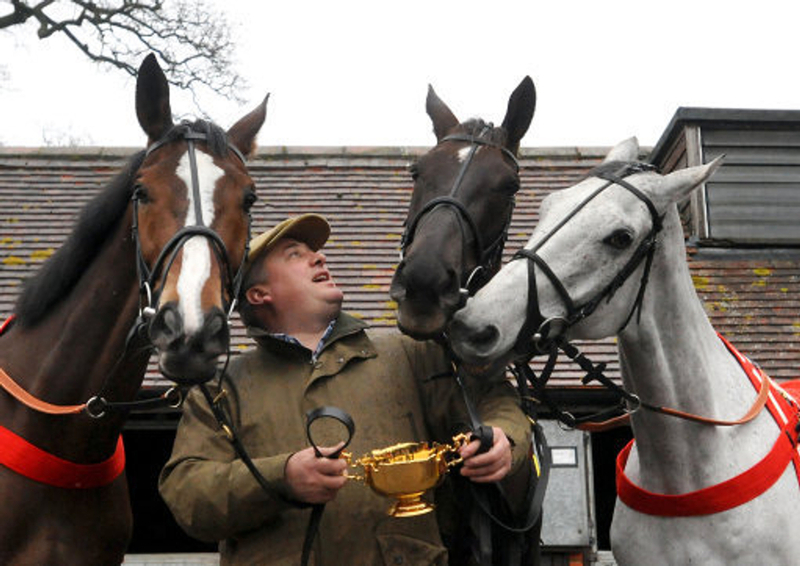 (Credit Racing Post) Nicholls said: ”When I started training back in 1991 it was the stuff that dreams are made of that we could be celebrating 3,000 winners or anything approaching that figure in 28 years as it was proper hard work for a few seasons. “Where we are now is down to a great team of owners and very good staff, who can be relied upon to get the job done as I cannot be everywhere at once. Delegating has always been an important aspect of the way we all go about the business at home and it’s important in our success." Nicholls during his career as a trainer has won the most of his races over the jumps but has also gained a small proportion of his victories on the flat that round up together to make the magic 3,000. With 11 wins on the flat and a massive 2,989 in national hunt races, Nicholls will always go down at one of the greatest trainers to ever grace the sport but has said his big celebration will be when he finally grabs 3,000th jumps wins as a whole. The Ditcheat trainer added: “Obviously the real cause for celebration will be our 3,000th jumps winner in Britain and I would be hopeful we can get the job done before the end of the term as long as the ground is fine. Trainers that also did well on the card at Ludlow on Monday was Welshman Evan Williams who secured 50 winners for the season with a handy double at the Shropshire track. Kim Bailey also landed a double on the day to see a classy display from Ludlow by some very experienced trainers.